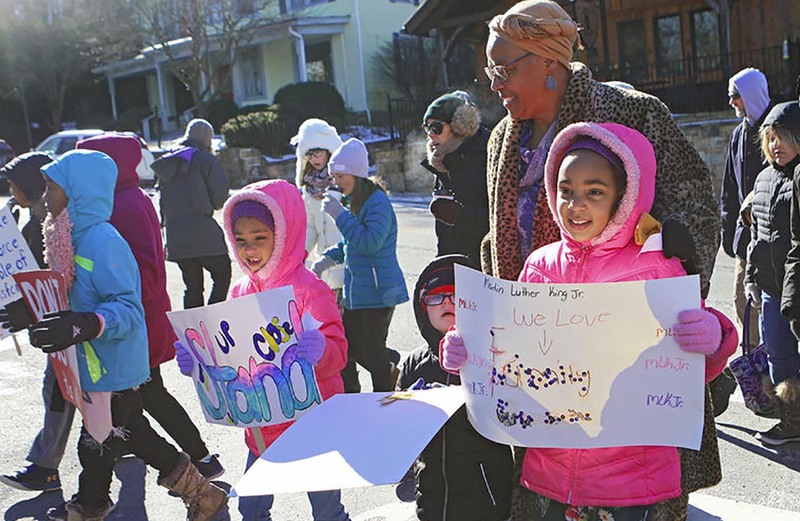 Anna Viney marches with her granddaughters Kaliyah Wesley, right and Kionna Wesley in the annual Martin Luther King Celebration in Lewisburg Monday. 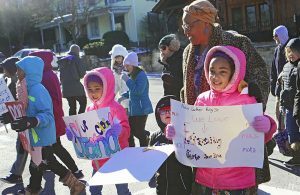 LEWISBURG, W.Va. — Attendance at the Martin Luther King Jr. Day in Lewisburg was somewhat dampened by the frigid Monday temperatures, but a fiery sermon delivered by keynote speaker Jeff C. Woods soon dispelled the chill in the air. Quoting the second paragraph of the Declaration of Independence, Woods emphasized the statement “all men are created equal,” citing it as an as-yet-unfulfilled promise to many Americans. 2018 Martin Luther King Jr. Commemorative Celebration today in Charleston, W.Va.